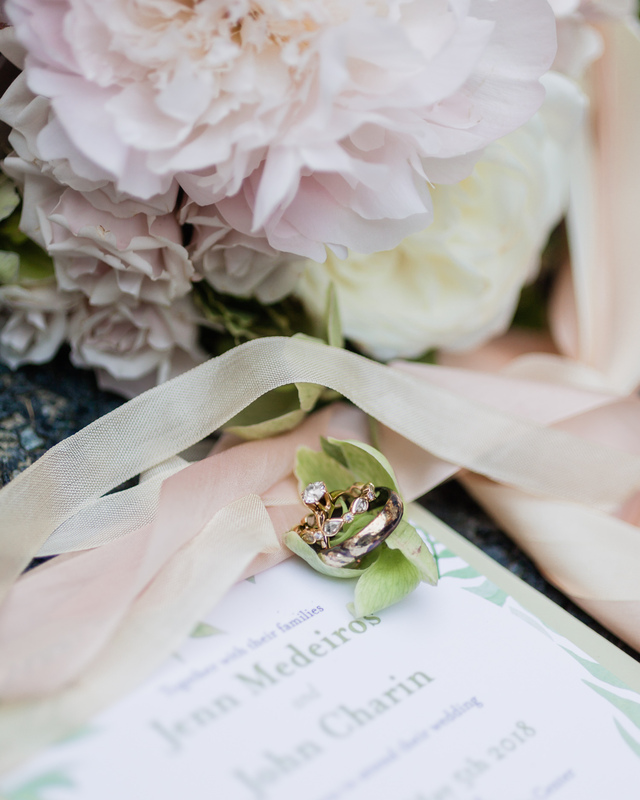 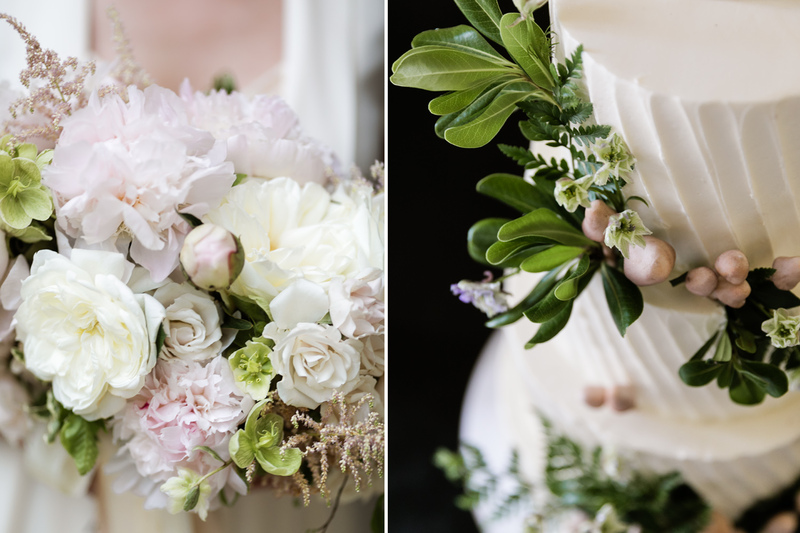 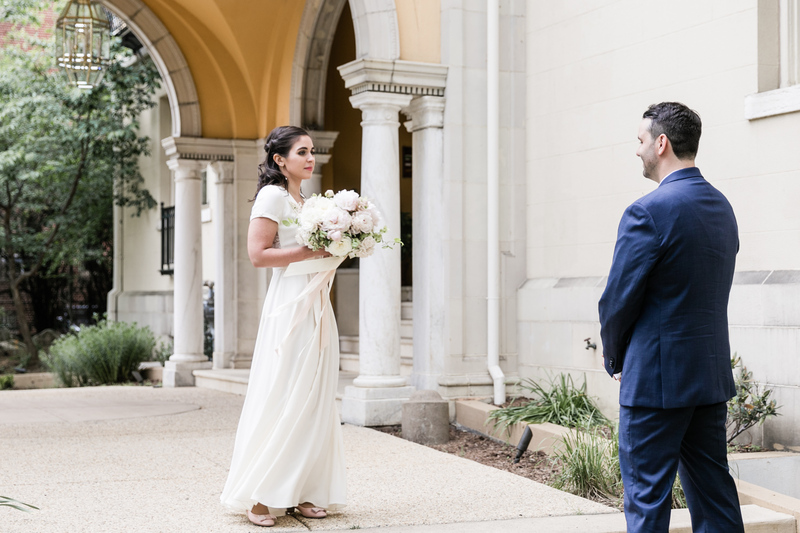 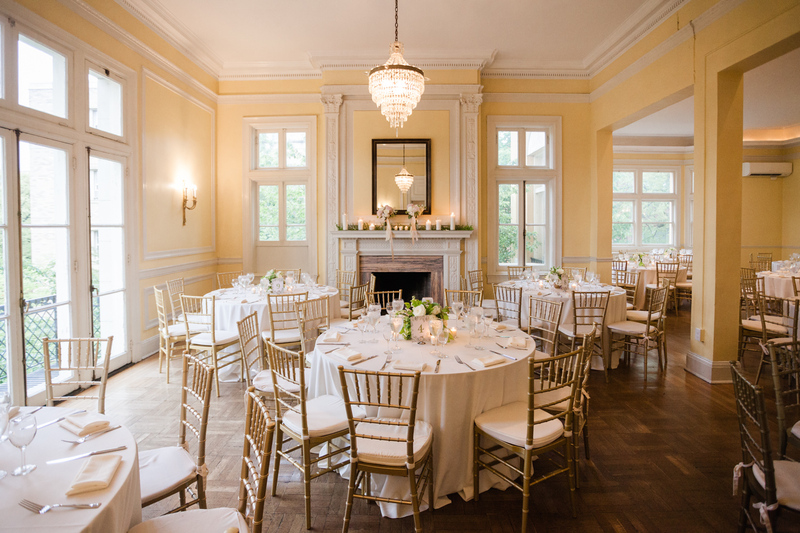 This gorgeous wedding at Josephine Butler Parks Center in Washington, DC may have been moved inside because of April showers spilling over into May, but the celebration never felt dampened. 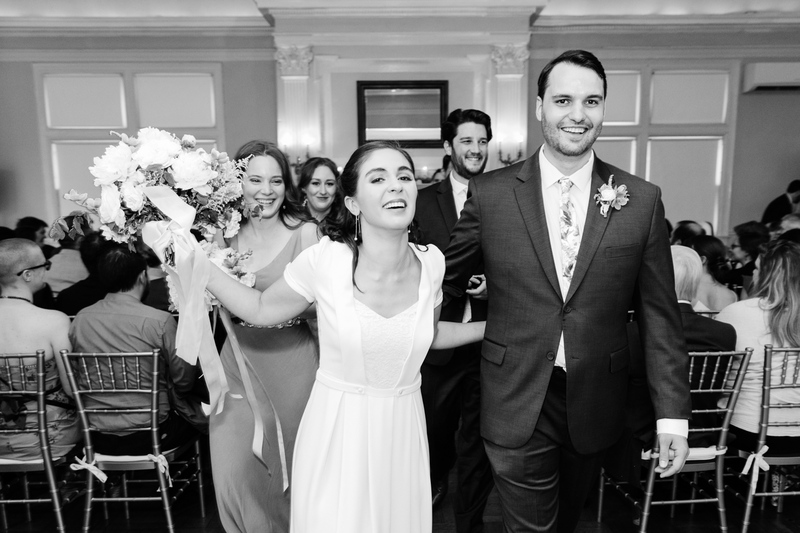 See what I did there? 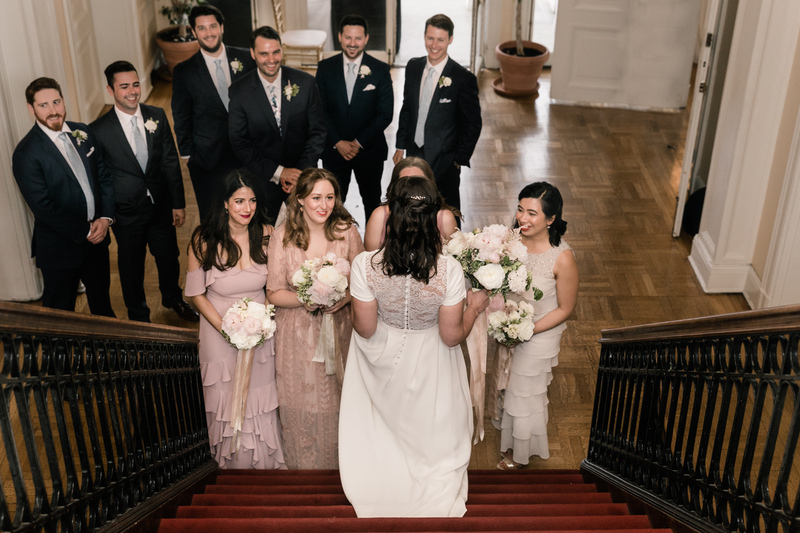 Jenn and John were steadfast in their desire to have a wedding with “minimal pageantry, maximum fun” even with the stately, formal backdrop of the Josephine Butler Parks Center grounds. 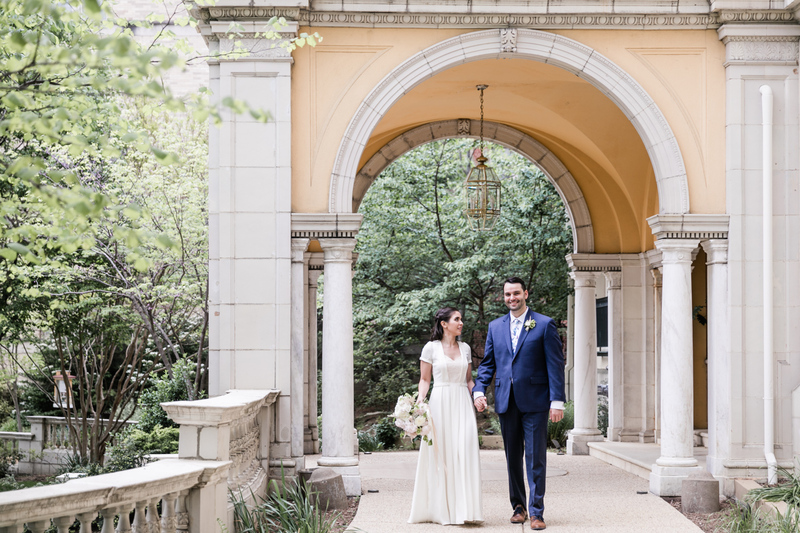 At first glance it probably looks like we were strolling in some European estate but this really is classic Washington, D.C. 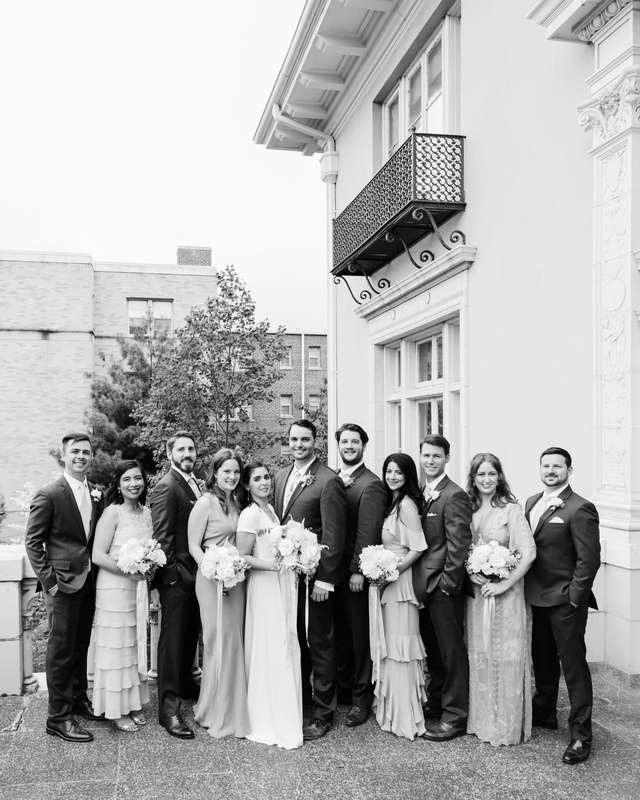 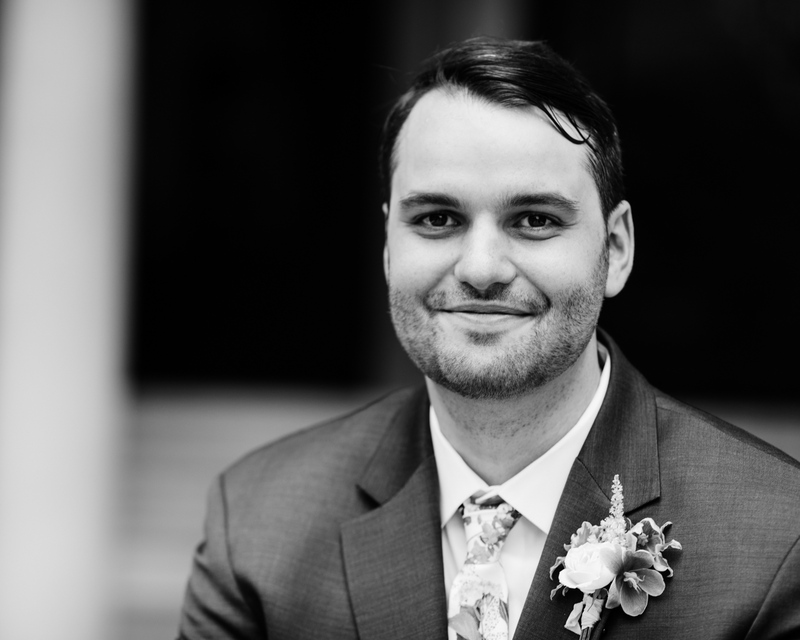 I was able to take advantage of the moments in between raindrops to photograph the wedding party, as well as some portraits of bride and groom before guests arrived for the ceremony and reception. 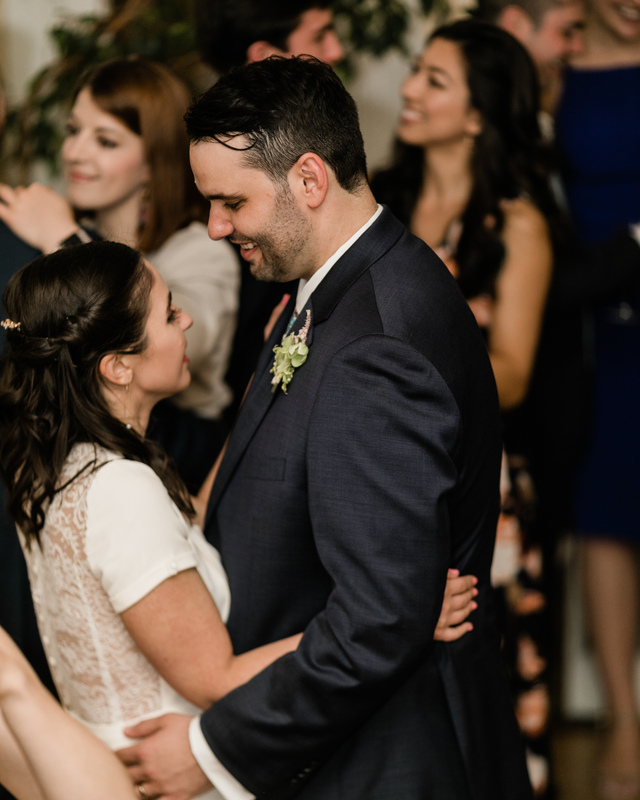 Both Jenn and John have cool, collected personalities and –despite the normal excitement surrounding a big day like a wedding — had the calm of two people who were undeniably secure in the commitment they were making to each other. 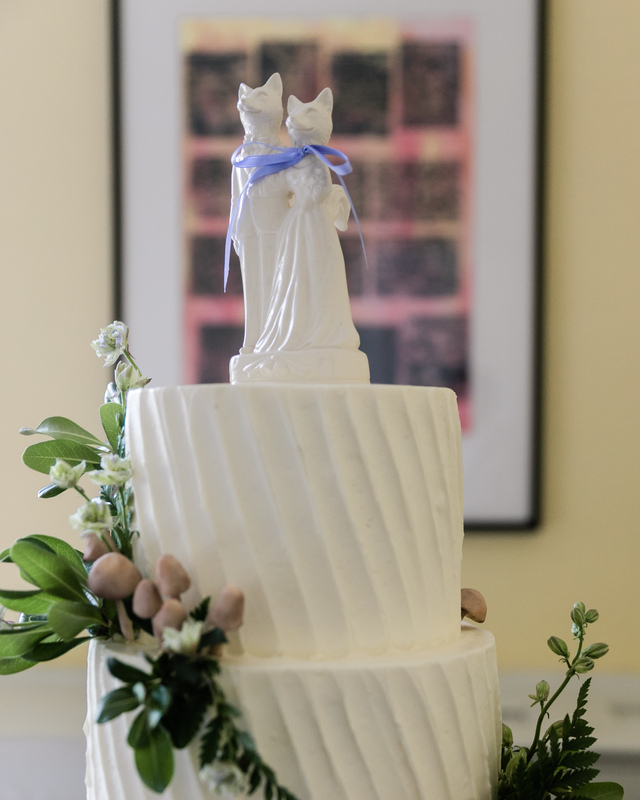 All of the “details” were just icing on the (wedding) cake. 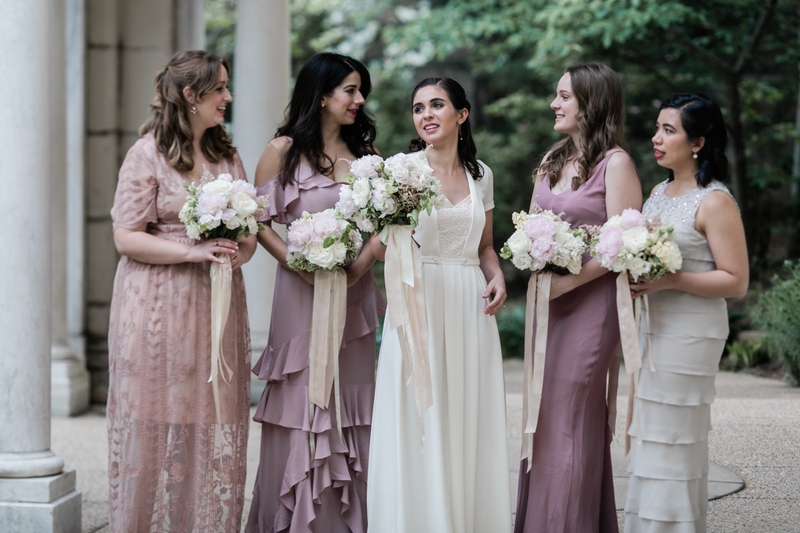 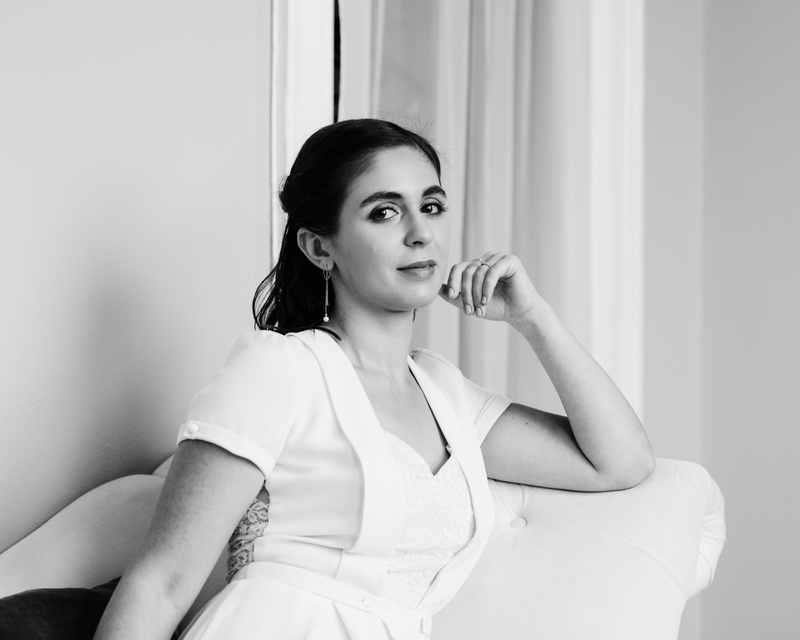 But please, can we just simply all agree that Jenn’s bridal gown from Elise Hameau was about as perfect a statement piece I’ve ever seen on any bride. 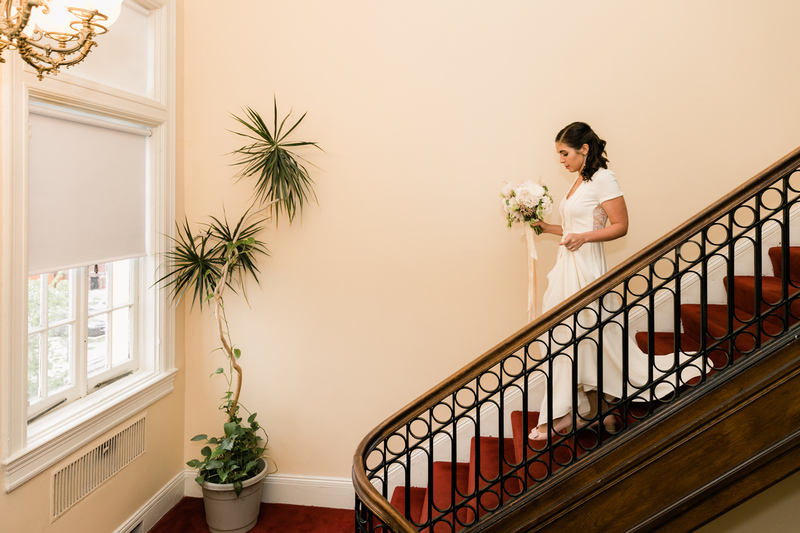 While Josephine Butler Parks Center is traditionally, and very tastefully appointed, the floral arrangements (and bouquets!) 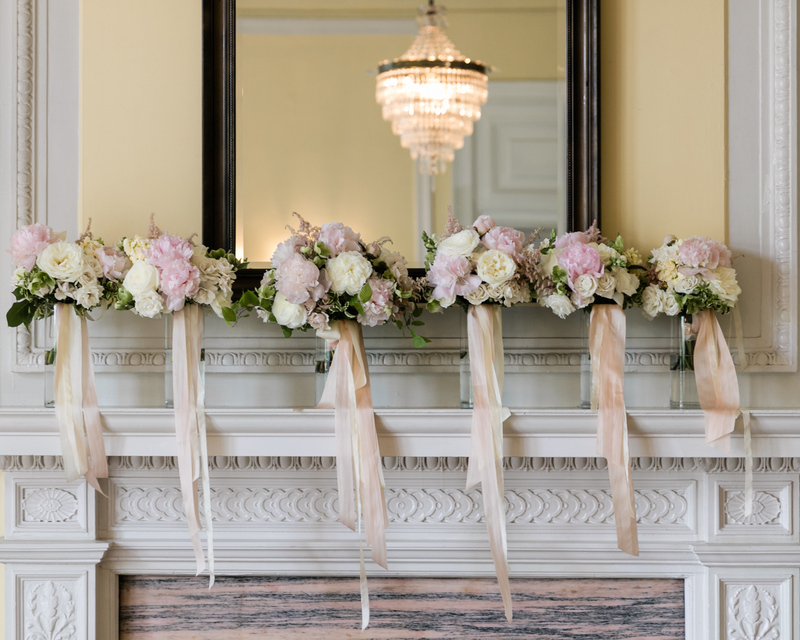 from Cape May Flower Co gave just the perfect fresh, soft touches to the room. 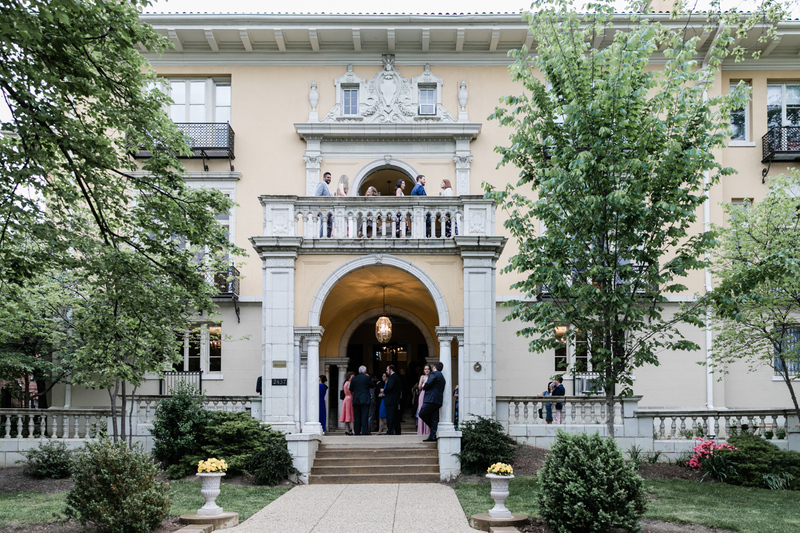 The Josephine Butler Parks Center building itself provided a picturesque setting during the cocktail hour as guests were able to make use of both the main entry portico and the second floor balcony with a clear view of downtown Washington, D.C., including the Washington Monument. 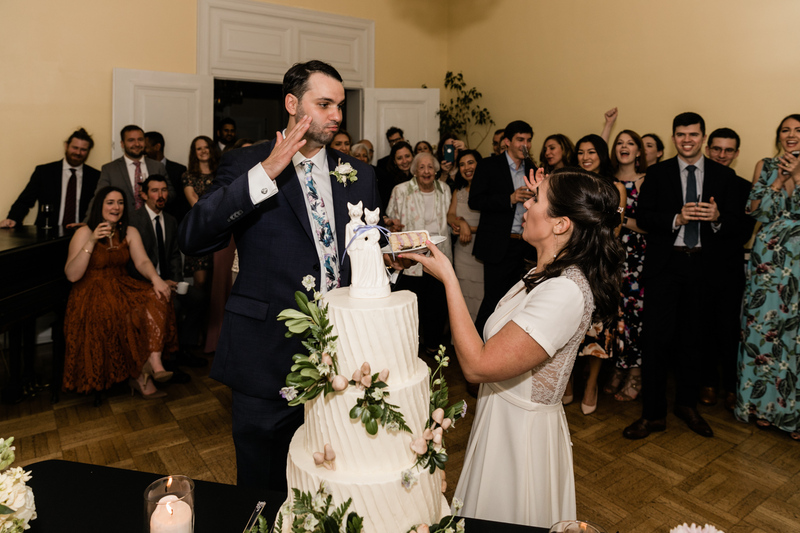 After a delicious dinner catered by Cava, a D.C. favorite, guests toasted the bride and groom before they cut the cake, a masterpiece from Fluffy Thoughts Bakery in Arlington, VA.
Once the cake was cut, the party was officially kicked off with (what else) an accordion serenade! 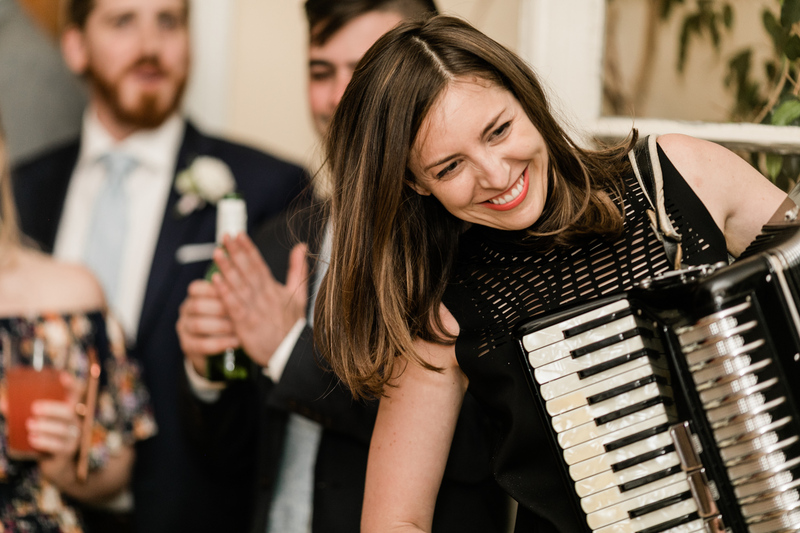 I doubt I will ever see anything quite like this again, but take note: if there’s an accordion musician in your life, they will start a celebration like nothing else possibly could. 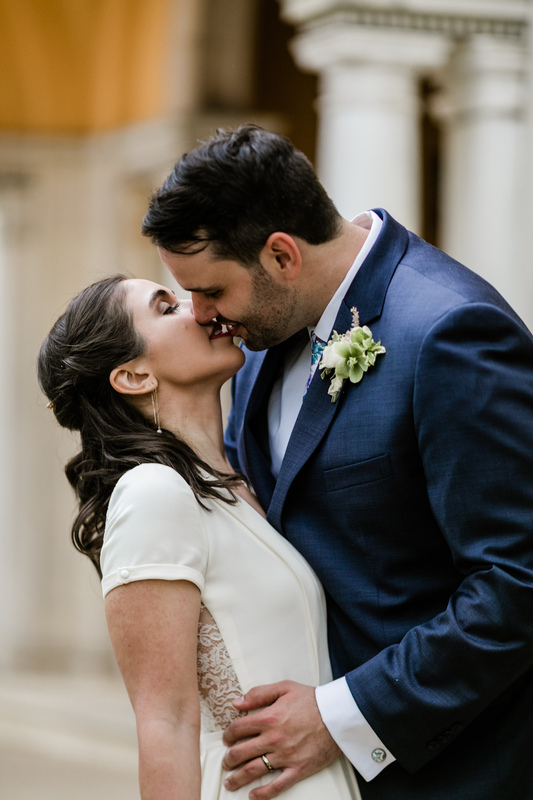 If you’re getting married in the Washington, D.C. area, please send me a note to start planning your wedding photography!